The Kerry District League would like thank all the players who attended the (6) U17 Airtricity League trials/assessments . For the unselected players ,their efforts and commitment to making the Kerry team was a credit to themselves and their clubs. Sometimes it is very small margins in sport and we would welcome all the players back to any future trials that we may have at U17 and at U19 Level. 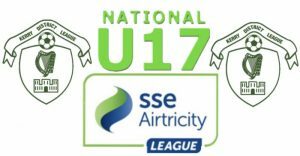 Well done to all the clubs on developing the players up to now and we look forward to continuing that development onto league of Ireland level . The squad will train together on Wednesday 30th January at 7pm in Mounthawk Park Tralee .